This book made it to my favorites list before I even finished reading it. 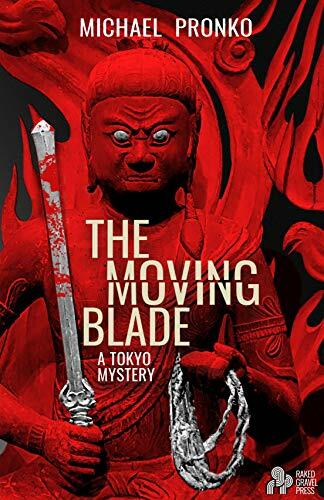 I am a sucker for a good mystery and The Moving Blade provides suspense and intrigue from the very first chapter. In fact, the first chapter is what kept me going through the next several chapters which do get a bit dry as far as action goes. However, I love the authors style of writing which is very descriptive without being overly wordy and this keeps the reader interested even when nothing spectacularly interesting is happening. The characters are effortlessly interesting which I think is pretty hard to accomplish, so kudos to the author there as well. I particularly enjoyed the scenes with Shibata, who was an old friend of Jamie’s recently deceased father. Shibata is eager to meet with Jamie after her father’s (Bernard Mattson) funeral and while his demeanor is calm and kind and heartwarming you can tell there is something more to him than he lets on to. It’s also clear early on that Jamie is in for more than she bargained for and that staying in Tokyo to settle her father’s affairs will not be as simple as expected. The main intrigue of the story surrounds Bernard Mattson’s writings, which are unpublished but well sought after at the time of his death. In fact, Jamie immediately finds herself bombarded by those who wish to obtain them. The detectives on the case of Mattson’s murder are unsure that his death was politically motivated, but it quickly unfolds that the missing manuscript was probably the driving factor behind his death. The book is a good mix of drama between its many likeable characters and the action that can be expected from a murder mystery. 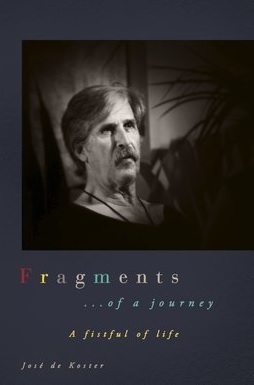 I love the imagery that the author invokes with his good use of descriptions. For instance, reading about the book shop owned by the Endo brothers (maybe because I love books!) gave me such a great image of the shop. I find that in a lot of newer books that I pick up these types of small details are left out and they really make or break a book in my opinion. I also loved the description of Shibata’s home. When Jamie mentioned that she somewhat remembered his house, he told her that it was actually a completely different house and only looked the same on the inside. These little details are a great addition to the literary quality of the book and I found them throughout the story. These are the types of things that really stand out to me and give the author distinction as a great writer. Some books you read because they’re quick and fun, but like I said, this one ended up on my favorite’s list because of the great writing. Posted on September 21, 2018, in Book Reviews, Five Stars and tagged alibris, author, author life, authors, barnes and noble, book, book club, book geek, book lover, bookaholic, bookbaby, bookblogger, bookbub, bookhaul, bookhub, bookish, bookreads, books of instagram, booksbooksbooks, bookshelf, bookstagram, bookstagramer, bookwitty, bookworks, bookworm, crime, crime fantasy, crime ficiton, crime novel, ebook, fantasy, fiction, goodreads, ilovebooks, indiebooks, japan, japanese, kindle, kobo, literature, michael pronko, mystery, nook, novel, publishing, read, reader, reading, shelfari, smashwords, story, suspense, the moving blade, thriller, tokyo, writer, writer community, writing. Bookmark the permalink. Leave a comment.